U.S. President Donald J Trump has said that mass immigration is “very bad” for Europe and it is changing the culture of the continent, before saying that the UK vote to leave the European Union happened “because of immigration”. 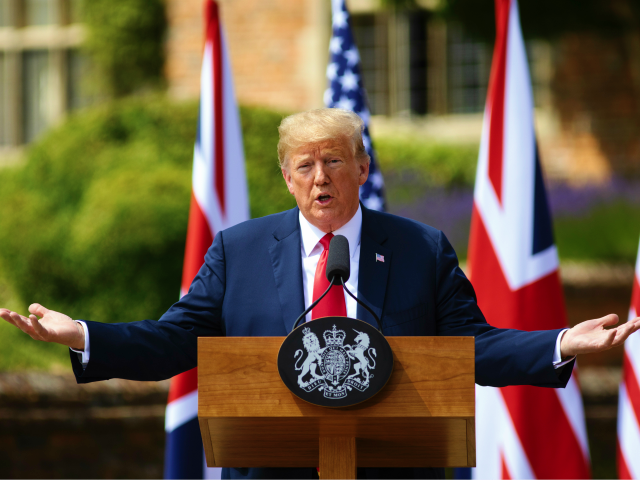 President Trump made the comments at a press conference with Prime Minister Theresa May at the British leader’s country retreat of Chequers in Buckinghamshire, England, on Friday afternoon. Asked whether he thought that immigration was damaging the cultural fabric of the country — the question raised in relation to comments made by the President at a NATO summit on Thursday and a previous interview in the British press — President Trump said: “I think it’s been very bad for Europe. Europe is a place I know very well and what has happened has been very tough. President Trump was alluding to the more than 35 executed or attempted terror attacks committed in Europe in 2017, the vast majority of which were Islamist in nature and of which a high proportion was committed by asylum seekers and migrants. “I think it’s changing the culture. I think it’s a very negative thing for Europe. I think its very negative,” President Trump said, noting that Germany has been particularly affected negatively by immigration after German Chancellor Angela Merkel admitted more than one million Middle Eastern and African migrants into her country during the 2015 migrant crisis. “I know it’s not politically correct to say that, but I’ll say and say it loud. “I think they [the European Union] better watch themselves because you are changing culture, you are changing a lot of things — you’re changing security. “Look at what’s happening. You take a look at what’s happening in different countries that never had difficulty, never had problems. It’s a very sad situation it’s very unfortunate,” President Trump said, probably alluding to Sweden — a historically safe country — where now the vast majority of gang rapists and suspects in almost all serious crimes are of a migrant background. “I dont think it’s good for Europe. I made that recommendation to Europe. I made that loud and clear and that’s the way I feel,” he added. 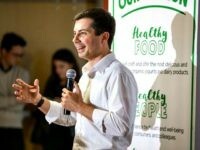 When asked for his thoughts on Brexit, he compared the vote to leave the open-borders European Union to his own election as president, where he ran on a platform of securing the borders from illegal immigration, saying “I felt it [Brexit] was going to happen because of immigration”. “But I knew [Brexit] would happen and it did happen,” President Trump added.